Strongly reacting to the Supreme Court judgment that the anti-atrocities law has become an instrument to “blackmail” innocent citizens and public servants, the National Coalition for Strengthening SCs and STs (Prevention of Atrocities or PoA) Act () has said that it would dilute "provisions related to anticipatory bail and immediate arrest under the SCs and STs (PoA) Act 1989" as also it's 2016 amendments. 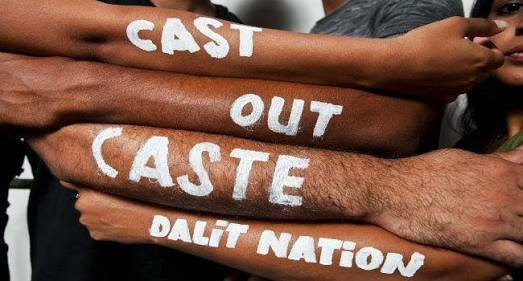 A platform of more than 500 Dalits and Adivasi rights bodies, NCSPA said, "The ruling dilutes the very purpose of the progressive legislation, a legislation meant to protect the marginalized communities from caste based atrocities and discrimination." Ironically, two years ago, one of the world’s top advocacy groups, Human Rights Watch (HRW), criticized the anti-atrocities law for using want it called “vague and over broad language, expanding restrictions on speech". It particularly raised “concerns over potential misuse", adding, the amendment in 2016 amendments "are problematic from the perspective of freedom of expression.” It is not known if NCSPA objected the HRW view. HRW said, under Section 3 (1), the amended law bans any expression that “promotes or attempts to promote feelings of enmity, hatred or ill-will against members of the SC or the ST” and also any expression that “disrespects any late person held in high esteem by members of SC or ST.” It added, “Disrespectful speech, or expression that promotes negative feelings, however offensive, is not the same as incitement to acts of hostility, discrimination, or violence..."
In its critique of the apex court judgment, NCSPA said, "It is surprising to note that the apex court in its judgment failed to recognize increase in atrocities against Scheduled Castes by 5.5% in 2016 (40,801) over 2015 (38,670) and increase atrocities against Scheduled Tribes by 4.7% in 2016 (6,568) over 2015 (6,276)." Noting that the apex court also failed to recognize the low disposal rate by courts in the recent years, NCSPA said in its statement, signed by its convener Dr VA Ramesh Nathan, said that total of 1,44,979 cases of atrocities against SCs and 23,408 cases of atrocities against STs came for trial, and out of these in only 14,615 cases, trials were completed for the cases against SCs and 2,895 cases for STs." " At the end of the year 89.6 % of cases for SCs and 87.1% for STs remained pending trial", NCSPA said, adding, "The apex court, instead of recognizing the low conviction, 25.7% for SCs and 20.8% for STs for the year 2016, and high acquittal at 74.2% for SCs and 79.2% for STs, made its observation on the basis of a small number of cases which found to be false -- 5347 for SCs and 912 for STs..."
NCSPA said, the judgment has also not sought to analyzed such factors like "shoddy investigation, incorrect and biased recording of victims and witnesses statements during investigation, filing of improper chargesheet and undue delay in filing charge sheets, inappropriate support mechanisms to the victims and witnesses by the investigating officers and public prosecutors and, as a whole, by the trial court." Pointing out that "there are hardly cases where the public servants have been convicted under Section 4 of the anti-atrocities law for the willful neglect of their duties to be performed under the PoA Act", NCSPA said, "We are anguished to note that the highest body of judiciary has totally failed to recognize the overall non-implementation of SCs and STs (PoA) Act."